One Day a Taniwha, Hoha the Taniwha, Waiata Mai and Ihenga are popular bilingual early childhood readers with attached CD narrating the story in English and in Te Re Maori. Waiata Mai is a book with waiata which Aunty Bea has written over the years. The waiata which are sung by the author and Rodger Cunningham, the musical producer. Kat Quin Merewether is the wonderful graphic artist who has produced the wonderful illustrations. Beatrice Yates the talented author has published 9 previous books these are her first at self publishing. One Day a Taniwha can be down loaded on iPhones or iPads. Look out for our next book Hinemoa and Tutanekai, late August/Sept 2012. 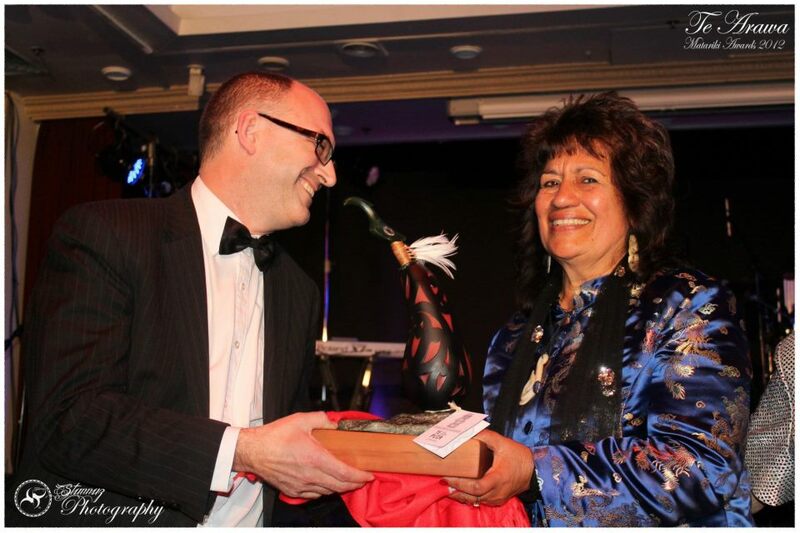 Beatrice Piatarihi Yates (Aunty Bea), was recognised for her lifetime contribution to Te Arawa, receiving the supreme award at the Matariki Te Arawa Women’s Awards in Rotorua. Photo thanks to Stunnuz Photography. Aunty Bea and Katherine (Kat) Quin Merewether of Design on Q have teamed together on all of Aunty Bea Publications since it’s inception in 2008. Photo of Kat, Aunty Bea and Kats daughter Opal at the launch of One day a Taniwha in 2009. 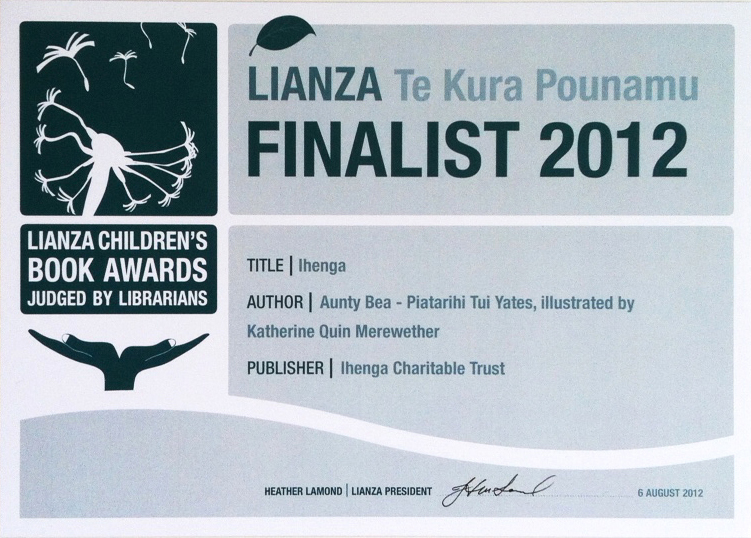 Ihenga was short listed for the LIANZA book awards in August 2012.